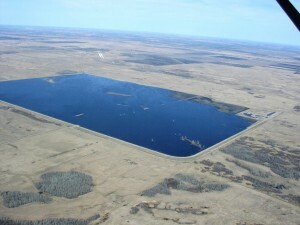 In December 1994, the Board of Managers initiated by resolution for a new project to establish an off-channel impoundment in the vicinity of sections 3 and 10 of Brandt Township, Polk County, MN. 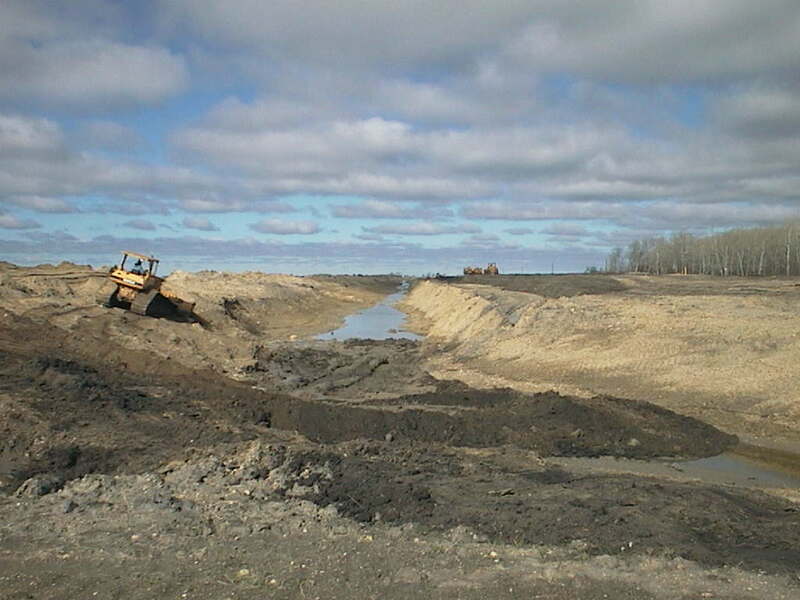 Construction of the impoundment started in 1999 and has been operational since 2001. The project site (approximately 960 acres) is located 30 channel miles upstream of the Red River of the North. The total estimated cost of the project is $3.3 million. 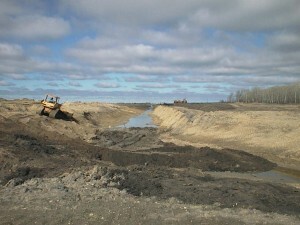 The drainage area above the project is approximately 23.4 square miles. 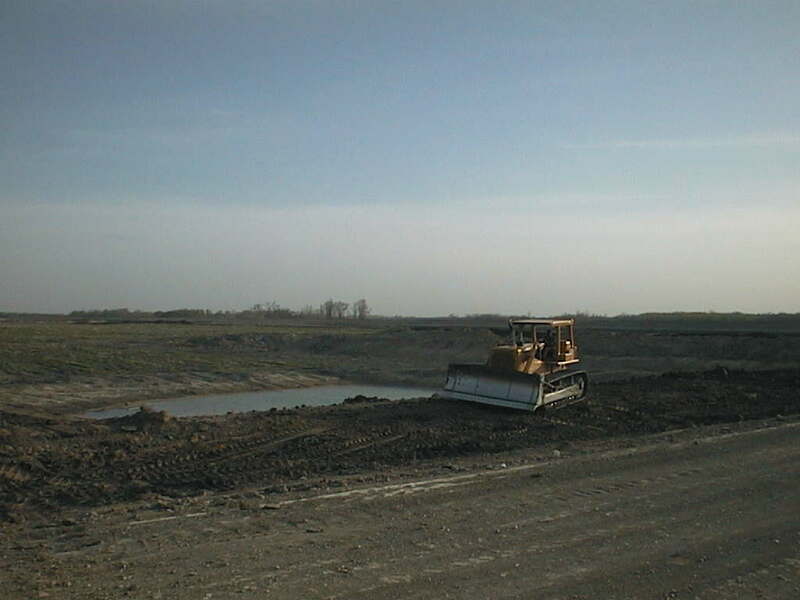 The project can store 4,500 acre-feet of water (5.2 inches of run-off)- up to the emergency spillway. 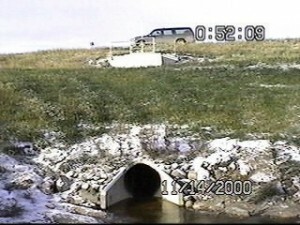 The inlet structure is a 12′ x 8′ reinforced concrete box culvert and the outlet is a two-stage outlet with the lower stage a 48″ reinforced concrete box culvert. 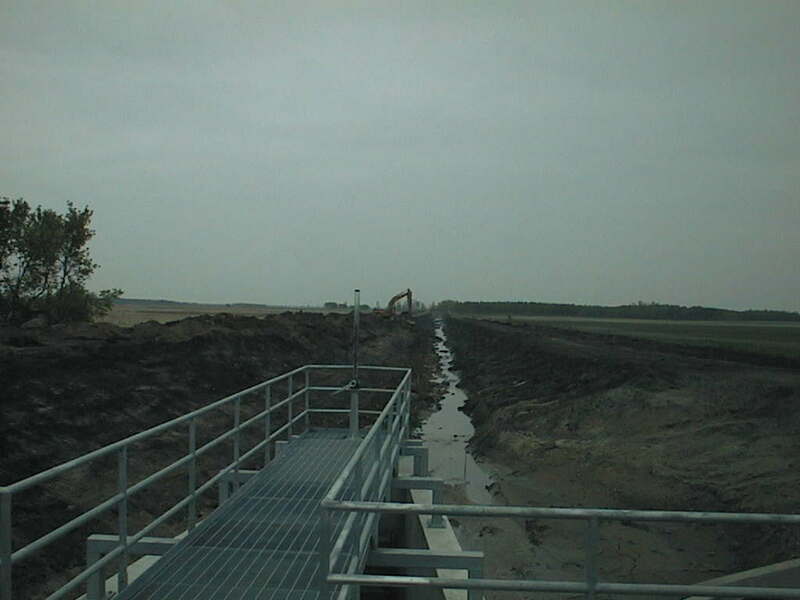 The embankment length is approximately 5 miles and consists of approximately 750,000 cubic yards of earthen fill. 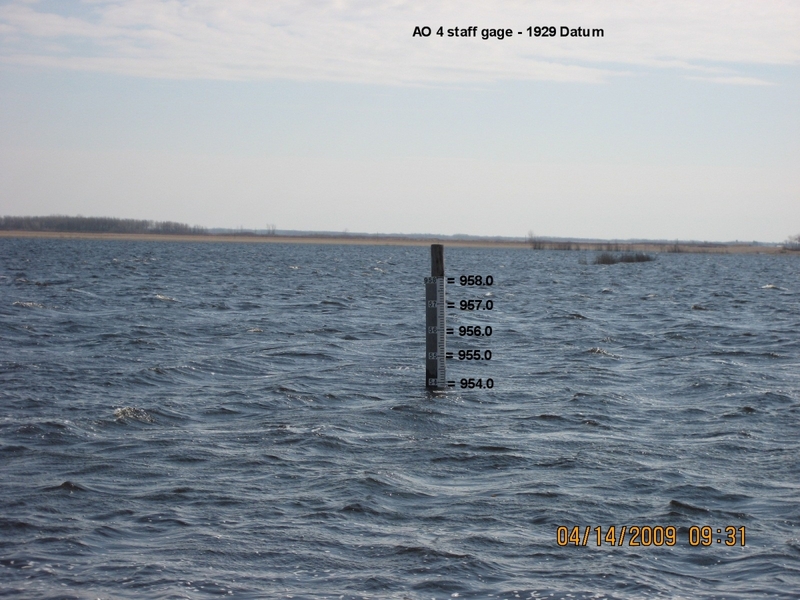 The Red River Watershed Management Board funded approximately 85% of the cost of Angus Oslo #4 Project construction costs. 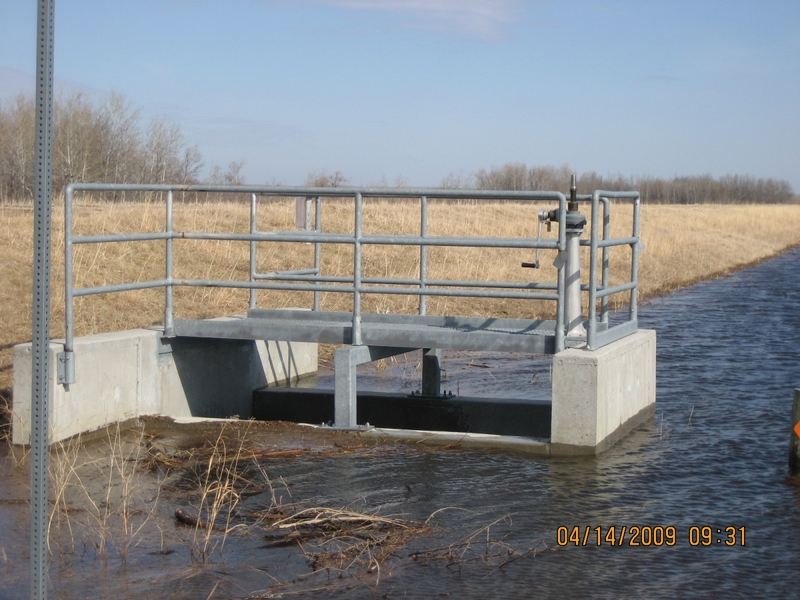 The MSTRWD paid approximately 15% with additional funding from a State of Minnesota Flood Damage Reduction Program Grant. 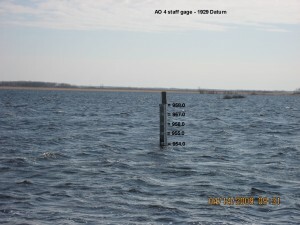 Top of Dam Elevation: 958.0 ft.-msl. Top of Dam Storage: 8068 ac.-ft. Emergency Spillway Elevation: 956.2 ft.-msl. 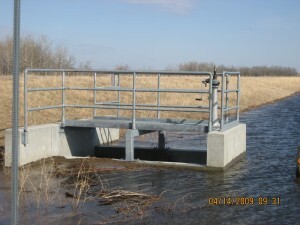 Emergency Spillway Storage: 6431 ac.-ft.
Primary Spillway Elevation: 954.0 ft.-msl. 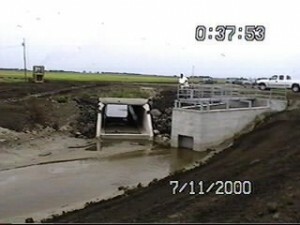 Primary Spillway Storage: 4505 ac.-ft.
Gated Flood Control Storage: 4505 ac.-ft.
Weir Flood Control Storage: 1926 ft.-msl. 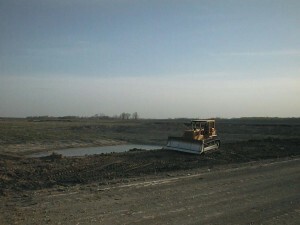 Drainage Area: 23.35 sq. mi.